A site with an installation of WooCommerce, preferably a development site. It can't be on a local machine though, or the payment gateways won't be able to interact with it. PayPal is probably the most familiar platform to most people. It's easy to set up and you probably already have an account. Its designed for online commerce. And it's the only gateway that lets you add subscriptions. What you will need is an SSL certificate. This means your site will have https:// instead of http:// before the domain name, and is essential for security. 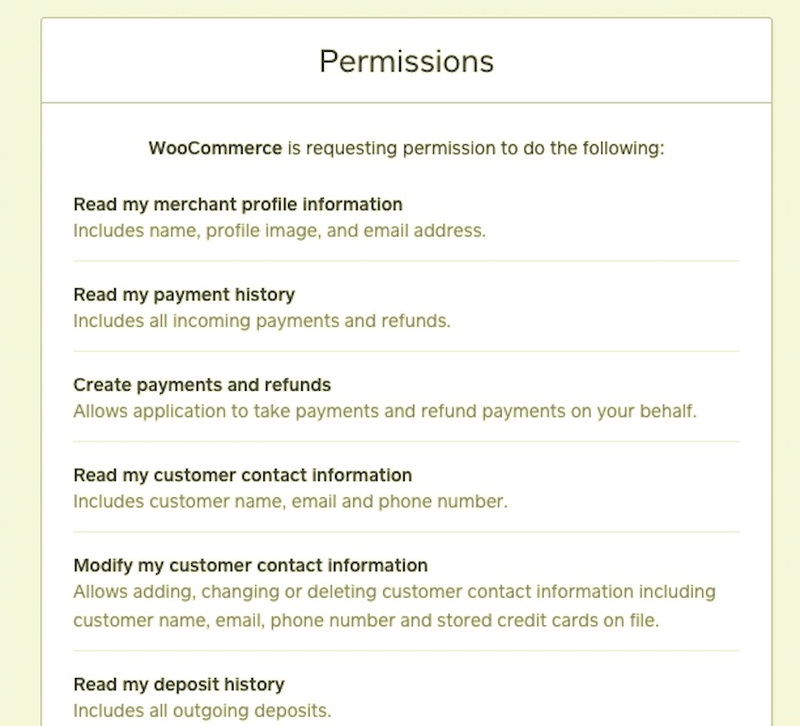 WooCommerce with PayPal requires a SSL certificate, so if you don't have one follow along with this tutorial on how to set one up for free with Let's Encrypt. So that your site can interact with PayPal, you'll need to set up Instant Payments Notification, or IPN. Go to your PayPal account and click on the settings icon at the top right. In the settings screen, select My selling preferences on the left. Scroll down and click the Allow button. WooCommerce will present you with a screen confirming the site you just hooked up, and a redirection button. Click it to go back to your site. The scroll down and check or uncheck the boxes for categories, inventory and more. Finally, click the Save changes button. Now go back to the Payments tab and make sure you've got Square enabled. If you have both PayPal and Square enabled, this could be confusing so I recommend just using one. Square will take credit card payments while PayPal will take payments either by credit card or from a PayPal account. Select the one, you want, deselect the one you don't want and click the Save changes button.